There's that citification of New Mexican politics again. A group of mostly rural county sheriffs sat in the state Senate gallery Thursday in solidarity against a gun control bill being debated that called for more background checks when buying and selling firearms but the bill still managed to pass the often conservative Senate, 22-20. Do you think that would have happened even five years ago? It didn't hurt that only hours before the vote a student at a Rio Rancho high school fired a gunshot inside the school, setting off panic. Fortunately, that's all there was to it. But the bottom line at the capitol when it comes to social legislation like gun control is the aforementioned growing power of the liberal cities (ABQ, Santa Fe and Las Cruces) and a new Democratic Governor who was elected with overwhelming margins in those cities. Two Dems who often take the conservative line and that the 16 Senate Republicans count on to join them to defeat liberal legislation refused this time. Both are from metro areas--Sen. Mary Kay Papen of Las Cruces and John Sapien of Bernalillo. Meanwhile, newly appointed Dem state Senator Gabriel Ramos confirmed the worst fears of his progressive foes and voted with the R's against the background checks. The House has passed a similar bill so MLG will soon get out her signing pen. She was in the fore of tough gun legislation when she served as a congresswoman and she's picking up in Santa Fe where she left off in DC. With the political compass in the Senate moving from the center right and more toward the center, it will be interesting to see in the final month of the session how many more cracks form in the conservative dam. Senators introduced a bill to allow the legalization of cannabis for adult use, and they're putting a special emphasis on the protection of children. While there is a growing bipartisan agreement that prohibition has not been effective in limiting and controlling the negative impact of cannabis in our state. The Senators involved want a responsible regulatory process that minimizes its negative impact and better protects children. That doesn't mean the outlook for legalizing pot this year isn't still cloudy. A number of Dem Senators are still against it but this will be closely watched. State employees and the many who are retired are going to be interested in this development from Tuesday's board meeting of the Public Employee Retirement Authority (PERA). --The PERA Board voted to suspend Executive Director Wayne Propst's authority over PERA staff regarding pay raises and promotions until an investigation into the raises by the Attorney General is complete. --The Board voted to ask the Attorney General to investigate Propst regarding pay raises and promotions for his staff over the last five years. 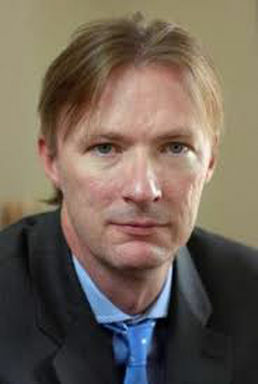 --State Treasurer Tim Eichenberg stated that he has already sent a letter to the Attorney General requesting an investigation of Propst for potential illegalities regarding PERA pay raises and promotions. --Chief Investment Officer Dominic Garcia reported that the PERA fund lost 2.5% in 2018. In comparison The Education Retirement Board fund (ERB) for educators had a 0.6% increase during 2018. The PERA fund fell to $14.6 billion from $15 billion. Propst handed out $630,000 in pay raises last year to 30 of the agency's employees, including himself. The raises ranged from 6 to 59 percent and done without board approval, according to ABQ Report. Making matters worse, while handing out the staff pay hikes Propst has been lobbying to have retired state employees give up their 2 percent annual cost of living adjustment (COLA) in order to help the PERA fund achieve long-term solvency. But with the AG breathing down his neck and the Guv and many legislators wary of suspending the COLA, it appears it will be Propst who will getting his wings clipped. A recording of the meeting is here. Crashing enrollment, an athletic department in disarray, uncertainty about the leadership of the president who is clashing with a key legislator and a continued problem with branding and marketing. And that's only the short list of problems facing the University of New Mexico. 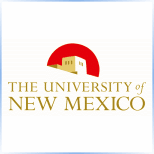 Can a group of new UNM Regents make a difference? Governor Lujan Grisham has just named five regents to the seven member panel, all of whom are expected to win confirmation from the Senate Rules Committee which begins the process today. Can they be strong and innovative enough to bring change to our Harvard on the Rio Grande? Here's some Roundhouse scuttlebutt about some of the personalities that will be at the helm of the state's flagship university. Kim Sanchez Rael is described as "thoughtful and prepared." The Stanford and Harvard grad has a lengthy background in entrepreneurial business undertakings and spent seven years as an Intel executive. She ls also politically astute as is her husband, veteran state bureaucrat Lawrence Rael who currently toils for ABQ mayor Tim Keller as a top administrator. Sanchez Rael, 53, may be the star of the new group of regents--if there is to be one--and the one who could emerge as an advocate for a new and improved agenda. These are recycled regents. Begay Campbell served on the panel under Gov. Richardson. Brown is also a former regent who once headed up the UNM Anderson School of Management. She is a UNM and Stanford graduate, an engineer who is a longtime employee of Sandia Labs with strong ties to the Native American community. But there are questions. . .
management of athletic department budgets, poorly constructed payback of the bonds to remodel the Pit into a less friendly, hard to sell sky box model? Why didn't they raise questions about the Athletic Department's lax controls that led to the recent criminal charges against former Athletic Director Paul Krebs? What will be different for them this time that makes them pay attention? Will they be the stabilizing influence some argue, or go along, get along status quo regents? Also, Brown is 81 and has a wide array of experience, but does he relate to the current generations? The other MLG appointees are Robert Schwartz who has more than 40 years of experience teaching law, mostly at the UNM law school. The student regent IS Melissa Henry. She's a licensed mental health counselor who is pursuing a doctorate in counselor education. The leftover regents are attorney Rob Doughty and and Marron Lee, whose terms expire in 2020. Both are diehard members of the Governor Martinez political machine but are now presumably outnumbered by a new governing majority. 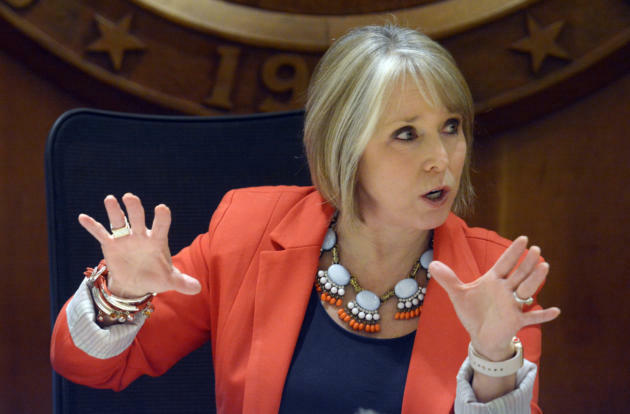 As for that troubled UNM athletic department, UNM President Garnett Stokes is in a pitched battle with House Appropriations Committee chairwoman Patty Lundstrom who wants to appropriate $2 million to reinstate athletic programs eliminated at UNM to address the department deficit. Most notable is the elimination of men's soccer that has drawn howls of protest from students and their parents. One of the Gators sends along the talking points memo that UNM's legislative committee of staff, students, alumni etc. are working from to fight the reinstatement. There's nothing in it about Stokes working out a compromise with Lundstrom. Maybe there should be? --She isn't about to hire a lawyer but that on line petition to impeach Governor Michelle Lujan Grisham because she moved most of the state's national guard troops from the border is putting a damper on her early term honeymoon and giving her a first dose of widespread negative publicity. --She can't be too surprised. The border and immigration are among the hottest of the hot button issues of our time, thanks to President Trump. MLG's defiance of him regarding the guard has predictably riled up his southern NM base. --But slow down if you think those 36,000 folks (and growing) who have signed off on the impeachment of MLG are from New Mexico. No doubt many are but there is no screening of who signs so we assume a good number of them are from out of state. --Still, Dem House Speaker Brian Egolf, who has the power to launch impeachment proceedings, was forced to knock down any such notion saying no way, no how. But the nuisance petition may be a message to MLG to tone down the emotion (like running into walls etc.) while pursuing her border policy. --As far was we can tell, no Governor since statehood has faced impeachment charges. But other state officials have, the most famous one being in 2005 when we blogged of how State Treasurer Robert Vigil was indicted on extortion charges and the state House formed a 10 member impeachment subcommittee to investigate. Vigil folded his hand and resigned and the impeachment probe was halted. 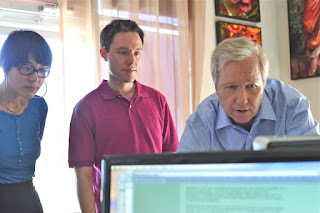 --By the way, the House hired ABQ trial attorney Paul Kennedy in 2005 to guide them on the Vigil impeachment. In 2011 he was to become the go-to private attorney for Gov. Martinez and her political machine. And Martinez's "pit bull" is still going at it, having signed as the lawyer for former UNM Athletic Director and Machine friendly Paul Krebs who faces criminal charges from the attorney general. Holy Gusher, Batman! So might say Robin to the caped crusader in reaction to the latest news from the booming NM oil fields. --New data out shows oil and gas contributed $2.2 billion to the state in the last fiscal year, an increase of over $450 million from the previous year and a third of the entire state general fund budget. And more is on the way. --Says NM Oil and Gas Association honcho Ryan Flynn: “Over the next ten years, production has the potential to remain high, at record levels, even with a downtick in prices, because the Permian Basin has become a focal point for investment." --But that hasn't stopped anti-oil legislation in Santa Fe, including a proposed ban on fracking and a move to increase the state royalty rates on new leases from 20 to 25 percent. That and more has the Hobbs News-Sun in the heart of the oil boom in Lea County asking this question: "Is there a war on oil?" --If there is a war, oil isn't going to lose it this year, not while all those legislators from non-oil counties are bathing in the liquid black gold and dishing out a billion dollar energy generated surplus. We are the 3rd largest gas producing county in the state. Mr. Baca pointed out that “We must perform a forensic audit of these same producers over the last eight years.” We could not agree more. In fact we hired an auditing firm and have confirmed Baca’s assumption. Our audit samples demonstrate that most of the producers we have reviewed are not reporting for property tax purposes. Of those that are, many are substantially undervaluing the property reported. On the production side, the state applies an assumed cost schedule that is well below market value of the equipment subject to taxation. . . Importantly, we are not asking that the industry pay more in taxes – only that they pay their fair share of taxes under the current structure. Our citizens are subject to an assessment of their homes by the county assessors at market rate valuation. Conversely, oil and gas basically get to “self-report” on a cost basis which they can manipulate whenever the assets are transferred. Maybe Land Commissioner Garcia Richard might want to look into the audit route to raise more money for state education rather than an increase in royalty rates. During this oil boom that has as much chance of passing as the Rail Runner turning a profit. The Republicans lost their credibility when they allowed the Rush Limbaugh base to set their agenda. At the national level they cried about Obamacare. Rather than fix the problems with small bipartisan bills, they insisted upon repeal. When the Republicans had full control, they had nothing to offer. At the NM level they hollered for lower taxes and less regulation. Fix the economy by taking the shackles off of business. Well, that produced nothing. Until the Republicans have something to offer, the proper place for them is on the sidelines. In the meantime there are problems to solve. Hopefully this Democratic Party can keep the momentum and change the White House in 2020. We welcome your email on the issues of the day. --The party is over for the Republican Party. That realization is nothing profound, but on Election Night it was theoretical, today it is practical, with the state House Dems rolling over the R's with progressive legislation that is shocking their socks off. --From abortion to gun control to spending, the dominant Dems (46-24) are putting forth very liberal bills reflecting the huge political shift in state politics toward the cities of ABQ, Santa Fe and Las Cruces and away from the shrinking rural counties that are the bedrock of GOP support. --The cries from the House R's about the Dem's being "unfair" or "uncivil" are falling on deaf years after eight years of Republican Governor Martinez and her political machine who ran roughshod over the Dems. The R's have a point about Dems steamrolling them but they lost the moral high ground when they sheepishly fell in line behind their own vindictive Governor. The steamroller is just getting started. --Legislative redistricting in 2021 will be done by commanding Dem House and Senate majorities and under a Dem Governor. In the last redistricting in 2011 the R's had one of their own on the Fourth Floor and more legislative manpower. Their redistricting bill led to a brief, historic two year Republican takeover of the House. That redistricting outcome is not going to repeat in two years, potentially putting the House R's in the legislative desert for years to come. --However, there is some hope for the minority party. BernCo Dem NE Heights representatives like Melanie Stansbury, Abbas Akhil and Bill Pratt, liberals who stunned the political world by beating incumbent R's in the Dem wave of '18, could overreach and be sent packing. That would restore a bit of the voice the R's have lost in the House, but not much. --As legislative expert and former Republican state Senator Rod Adair is fond of saying, "Demographics are destiny." Those demographics here are trending more Hispanic, more Democrat and less Anglo and less conservative. Cutting taxes and regulations--still the boilerplate of the GOP platform--is not going to win those voters back. They need a new bag of tricks but are resistant. --New GOP chairman and former Congressman Steve Pearce is polished, articulate and knows how to go for the jugular. The problem? The cities don't and won't listen to Pearce who lost them to MLG by landslide margins. 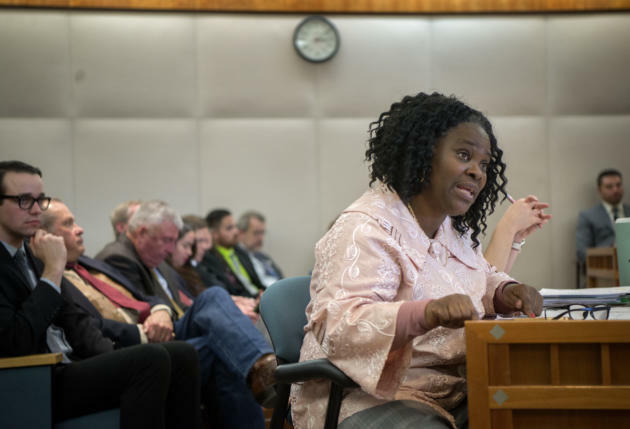 R's may want to look at someone like former ABQ GOP State Rep. Sarah Maestas Barnes--a woman and minority face--to serve as some kind of co-chair or spokesman to deal with the cities and use Pearce to woo the conservative rural south. --History says the governorship is still a swing seat, with Democratic corruption and/or overreach on the issues the possible path back to the Fourth Floor someday. 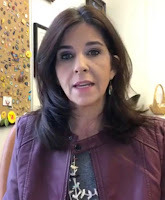 R's are not elected Governor in New Mexico based on their platforms, but in reaction to the errant actions of Democratic incumbents, especially on the corruption front. --House R's can bellow, bellyache and bemoan the Democratic House's near super majority but they can't change it anytime soon. Their time in the cold, lonely wilderness has just begun. If it persists, in a few years you will see a more meek and accepting GOP attitude take hold. That would be similar to the state Senate where the R's toil as a permanent minority. However, they have been able to coalesce with some conservative Dems to give them a voice in state power. In the state House conservative Dems are an endangered species. The R's there are on their own and that will be brutal. --Another R problem: MLG can thwart the most ultra-liberal policies before they reach her desk and avoid having moderate Dems and independents bleed off to the R's. So all the gnashing of teeth over what the R's see as the radical abortion and gun control bills could be for naught. They are unlikely to pass in their ultra liberal forms. (Although MLG on guns is no moderate). --It's true the House Dems are further alienating the 43 percent of the voters who went for Republican Pearce in the Guv race, but the Dems are not losing their broad support in the cities. And, as we said above, in the 21st century the story of New Mexican politics is the battle over the expanding urban battlefield. Until the GOP can pick that lock Rep. Fajardo's Santa Fe karaoke parties are going to be about as lively as a funeral. The Governor's decision to withdraw National Guard troops from New Mexico's southern border is now getting calls for her impeachment. A Ruidoso man has started a petition asking state lawmakers to begin the process to remove her from office. In just four days, this petition has seen over 26,000 people sign it. The petition on Change.org was created by John Daniel from Ruidoso. He's asking the state's House of Representatives to begin the impeachment process. She won't be impeached but maybe Chairman Pearce can raise some money for his financially needy party from some of those 26,000 (as of last night) who signed the impeachment petition. Meanwhile, don't worry, Democrats, Lt. Governor Howie Morales is standing by. The last eight years in Santa Fe have been so dominated by obstruction, do nothingism and vile antagonism that it's hard to actually believe that things could ever change. The state's residents are kind of like hostages who are held so long they refuse to believe they have been freed, even as the sun finally again shines on their faces. 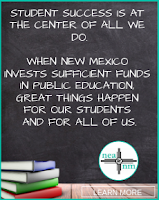 --We are seeing education legislation that if passed and is effective could change the face of New Mexico in the decades ahead. --It reminds us of 1974 when we covered the aftermath of the historic legislative debate establishing the school equalization formula. We were too young to understand its far reaching impact but we knew it was big. Really big. And we had legendary AP correspondent Bill Feather around then to tell us exactly why. --Flash forward 45 years later to an historic ruling from District Court Judge Sarah Singleton, a freshly elected, determined Governor and a newly empowered Democratic state House who are crafting plans that appear similar in importance to that way back when legislation. House Bill 5/a will double the at-risk index factor in the funding formula to 0.25, expand the K-3 Plus extended school year program to K-5 Plus, and create a K-5 Plus component in the funding formula. House Bill 5/a also creates new extended learning time program components in the funding formula, while creating a rural population component, and significantly increasing minimum salaries for teachers and principals over the next several years. --Say all of that gets the go ahead (and is financed with the Governor's $500 million proposed increase in the public schools budget) and then somehow the proposed Constitutional Amendment to fund very early childhood via the Land Grant Permanent School Fund also makes it through. Then you just might have reality match the "education moonshot" hype coming from the Governor and House Speaker. (SB 1, the Senate version of HB5, passed the Senate a few weeks ago). 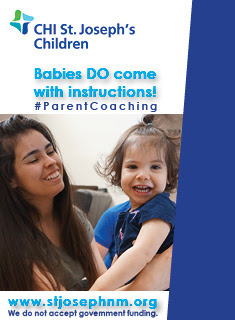 This landmark legislation has the potential to improve the lives of generations of New Mexico children. It is the most impactful piece of education legislation in decades, and it is a major step forward to improve the education process of our children. This bill addresses the learning needs that all of the children in our state are facing. Parents, teachers, and the public are looking to us to address the funding gaps identified by (the district court case) Yazzie/Martinez, and this does that and more, especially for at-risk students. In other words the bottomless pit that has swallowed this state up may actually have a bottom. Or maybe we've been held hostage so long we're imagining things. The funding equalization guarantee for schools to overcome income inequality in the state in the 70s' was not perfect. It did not account for the at risk student population that led Judge Singleton to find the state in violation of its Constitutional responsibility to provide adequate funding for at risk students, who make up a majority of the state's students and most of whom are low income, Hispanic or Native American. During the 2018-2019 school year, school districts were awarded $65,238,725 in federal Impact-Aid funding. The Public Education Department kept 75 percent of that money by cutting back on the operational budget of districts that receive the aid funds. . . Impact-Aid is designed to assist local school districts that lose out on property tax revenue due to the presence of tax-exempt federal property, or that have increased expenditures due to enrollment of federally-connected children, including children living on Native lands. . .
A press conference was held at the Roundhouse to show solidarity in the fight for schools on tribal and federal lands to receive their full impact aid. 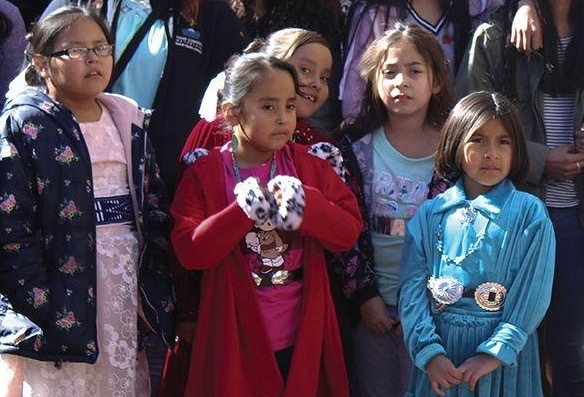 . . School and tribal representatives from Gallup-McKinley, Central, Zuni, Albuquerque, Bernalillo and other areas gathered to bring a voice to the issue. Even though it is generally illegal for a state to reduce state funding to a district based on aid received by the district, they are exempt because of the state’s State Equalization Guarantee Distribution (SEG) payments, or state equalization guarantee distribution, or NM statute 22-8-25. Legislation is pending in the state Senate to have PED stop keeping the federal Impact Aid from the schools, with Indian Country Senator George Munoz playing an active role. We thought we were through with last week's ABQ Public Schools election in which voters overwhelmingly rejected a proposed property tax increase. We let the APS supporters have their say on the Friday blog but that only brought even more email, so we hit the issue one last time and start with self-described "Westside Gator:"
Joe, the views expressed by the two readers who took exception to what you posted on the APS election are a very big part of the problem. First of all, yes, let's by all means attack the citizens who pay your bills and happen to disagree with you. Kizito Wijenje (director of the APS Capital Master Plan) expresses the attitude that we should be thankful we were allowed to vote. Second, property taxes are regressive. Sorry, our wallets are what we have, we can't demand payments from others. Albuquerque's property tax burden compared to other cities both in and outside of New Mexico was shown to be one of the highest. Suggestion: seek money from the state income tax, you know, a tax based on what money one actually has. Second suggestion: Wijenje should resign or be resigned. APS voters watch your vote for APS Board. Another example of why so much of New Mexico governance is perceived correctly as both inept and out-of-touch by those experienced with governance in other states including education. Joe, I agree with your assessment that “tax tired” voters helped defeat the APS tax hike. Another factor was growing discontent with a substandard school system that is increasingly arrogant, spendthrift and unaccountable. School tax elections always are a heavy lift because it’s a rare opportunity for voters to oppose a tax hike. Scheduling the vote during the legislature’s drunken-sailor season was unfortunate timing. The final blow was that instead of traditional schoolhouse voting that’s convenient for school employees and inconvenient for taxpayers, the mail ballot forced the district to hold a free and fair election. This put the burden on the school district to convince voters that it is delivering value for their tax dollars. Some districts succeeded including, most recently, Ruidoso. This is the only standardized test APS now has to pass, and it failed. There is now discussion of putting one of the mill levy questions back before voters during this year's November 5 ABQ election. That question is a continuation of a current tax--not a tax hike--and would have raised an estimated $190 million over six years.